In celebration of over two decades of sustainable tourism on North Island, we’re looking back on some of the major milestones in our history and looking ahead to future ecotourism projects. Looking back, we have remained true to our purpose since the day North Island turned over a new leaf in 1997. In tandem with creating a world-class private-island experience for luxury travellers, we focused our efforts on creating a “Noah’s Ark” sanctuary for endangered and endemic species on the Island. A remarkable 56 hectares of forest has been rehabilitated (almost 30% of the Island – an island the size of Monaco! ), restoring the unique biodiversity of the Seychelles to the Island. Hundreds of thousands of indigenous trees and palms have been planted over the last 20 years, including rare species such as the iconic Coco-de-mer. Habitat rehabilitation has naturally brought about the recolonisation of White-tailed Tropicbirds and Wedge-tailed Shearwaters and we’ve also seen many more seabirds around the Island in recent years, including the Greater Fregatebird, Tropical Shearwater, Brown Noddys, Lesser Noddys, and White Terns. We get some interesting migrant and vagrant birds visiting our shores such as the Amur Falcon, European Honey Buzzard, Corncrake, Gargany, Common Cuckoo and plenty of waders such as Crab Plovers, Ruddy Turnstones and Greenshanks. The rare Seychelles White-eye was brought back from the brink of extinction when we successfully reintroduced it to North Island in 2007. From just 25 birds, the population has increased 5-fold with 115–127 individuals recorded in the 2017 annual survey. On the flipside of the coin, countless invasive species have been removed, including rats in 2006, making North Island the largest Island with hills to have gained rat-free status. More recently, the Common Myna, with current numbers down to 3 solitary birds – thought to be the reason behind the surge in Seychelles White-eyes and Blue Pigeons last year. Now offering even safer nesting grounds, we expect to see a few more species naturally recolonise the Island over time. 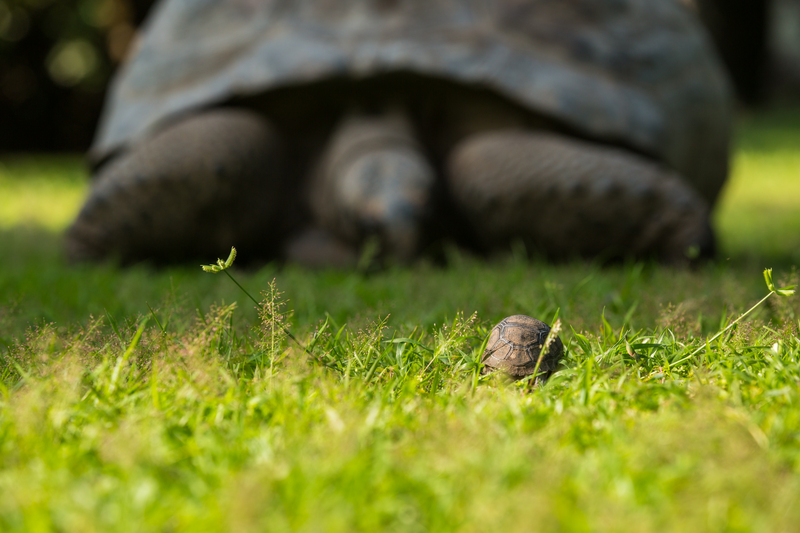 Only a few tortoises remained in 1997, but now 80-100 Giant Aldabra Tortoises merrily roam the Island free from harm. Two sweet new babies joined our growing family this January. On average, the number of critically endangered Hawksbill turtles utilising the Island’s private beaches has doubled and the number of Green turtles has increased 6-fold. 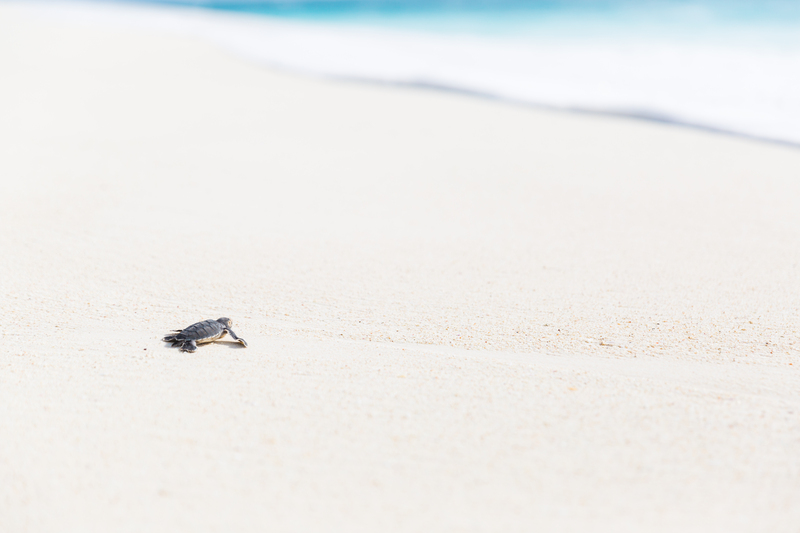 North Island is now believed to have the largest density of nesting Green turtles of any inner island in the Seychelles. Since 1998, 143 Hawksbill turtles have been tagged with unique Titanium Turtle tags; only 44 Green turtles have been tagged due to their nocturnal nature, but 17 of them were tagged in 2017 alone! 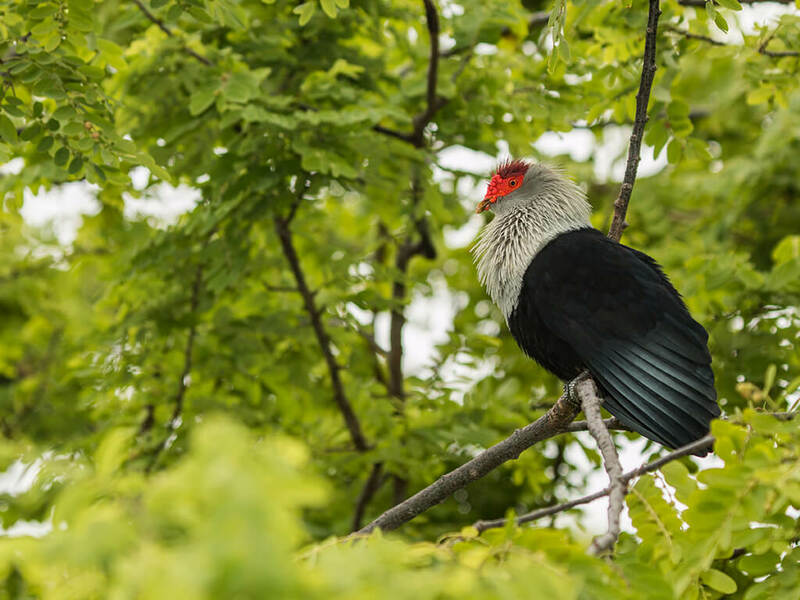 Looking ahead, we are excited to reach 60 hectares of rehabilitated land and combined with the results of our habitat studies, we hope to reintroduce more indigenous bird species such as the Seychelles Warbler or Magpie-Robin soon. We plan to bring in more tortoises to increase breeding success on the Island and we aim to introduce satellite tagging of Green Turtles. North Island remains dedicated to its scientific marine surveys, which have been taking place on the Island biannually since 2011, showing the diversity and abundance of fish, corals and invertebrates on our reefs over time, which we hope will assist us in gaining Marine Protected Area Status. 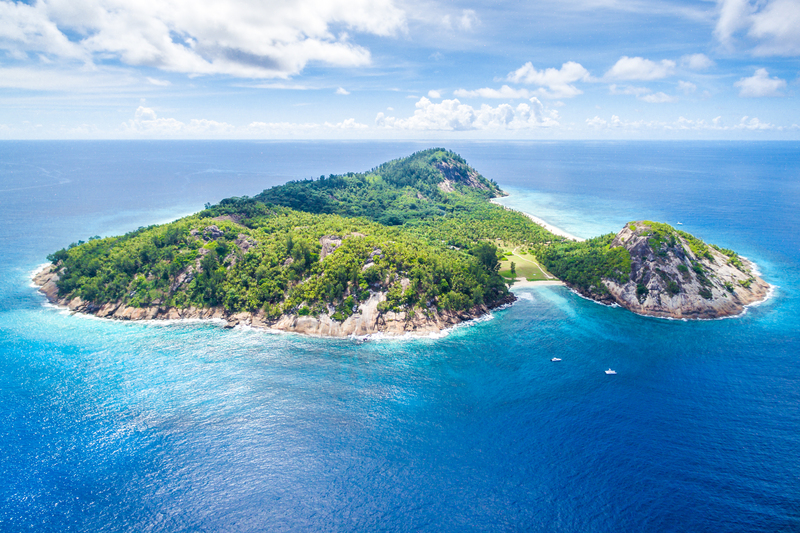 As one of the purest islands in the Seychelles, North Island continues to lead the way with new marine conservation initiatives this year, going plastic-free and joining the global ‘refuse the straw’ movement. In celebration of 21 years of sustainable ecotourism, we will be unveiling the Island’s new Environment Centre later this year. Stay tuned for further updates.